GREG WILPERT: It’s The Real News Network and I’m Greg Wilpert in Baltimore. 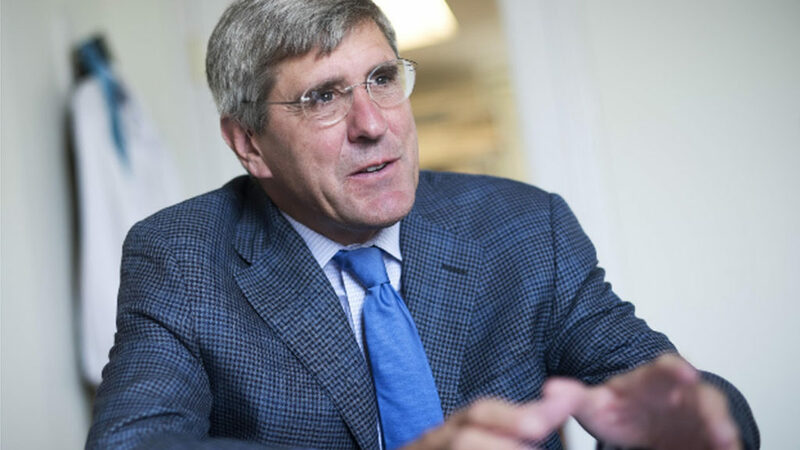 President Trump announced that he is nominating Stephen Moore as a new member for the Federal Reserve Board of Directors on Friday. Already, many mainstream economists have complained about the choice, saying that Moore is both unqualified and too much of a conservative ideologue. Trump probably chose Moore because both he and Moore believed that the Federal Reserve’s interest rates should be lowered and not raised in order to prevent an economic slowdown. Here’s what Moore had to say when his appointment was announced. STEPHEN MOORE: I consider myself a growth hawk. So I think what I will really try to pursue and persuade the chairman of and work with the chairman to try to make sure that America grows as fast as it can, and that wages rise, and that we have a long period of prosperity through a sound monetary policy. Trump has done an obviously great job on tax reduction and deregulation and looks like we’re going to get this trade deal done with China. If we have a sound monetary policy with stable prices on top of that, I really believe we could have three to four percent growth for another five or six years. What they did in December with the rate increase was a very substantial mistake and the Fed has, thank God, reversed that and changed directions with respect to the rate increases. GREG WILPERT: To take the position on the Fed’s Board though, Moore still needs to be confirmed by the U.S. Senate. Joining me now to discuss the Fed and Moore’s nomination is Mark Weisbrot. Mark is Co-director of the Center for Economic and Policy Research in Washington D.C. and author of the book Failed: What the Experts Got Wrong about the Global Economy. Thanks for joining us again, Mark. GREG WILPERT: So we’ve covered the Fed and its policies on The Real News Network a number of times, but it bears repeating. Why should people even care about what the Fed does and what does it do anyway? MARK WEISBROT: Well the Fed is extremely important. I think anybody who cares about income distribution, employment, the strength of social movements including the labor movement, has to care about the Fed because it’s the main determinant of the unemployment rate, which affects all these other things and racial justice. For example, the unemployment rate in the U.S. for African Americans is usually about twice the rate for white workers. And so it’s enormously, enormously important, and you can see how it works. For example, since it became clear the Fed wasn’t going to raise interest rates this year– and the futures markets are saying probably all the way through 2020 and maybe beyond– the mortgage rates have come down significantly. In fact, this week was the biggest drop in 10 years for average 30-year fixed-rate mortgages. So this affects the housing market and that affects the overall economy. So this is what the Fed does and I think it doesn’t get anywhere near enough attention from people who are affected by it and who also care about economic and social justice. GREG WILPERT: As I mentioned in the introduction, Moore’s appointment has caused quite a stir. From your perspective, what’s this apparently controversial appointment all about? 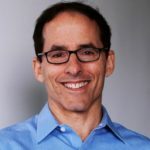 MARK WEISBROT: Well Moore’s appointment does seem kind of inappropriate for the reasons that were mentioned in your introduction. He has these pretty far out ideas and in fact, he even is quoted as saying we should discuss whether we even need a Fed at all. He’s said that interest rates should be linked to commodity prices, which are very volatile. It’s kind of a not very good idea. And I think the most important thing that’s caused this controversy is that it’s so obviously political. So it’s kind of obvious that Trump has put him there against all kinds of advice or is trying to put him there, I should say. He’s not confirmed yet and he might not be. He’s nominated him. Trump has nominated him because he’s going to do what Trump wants. And so, people are reacting against the politicization of the Fed. GREG WILPERT: Now how do you think we should be thinking about this and about Trump and the Fed from your perspective? I mean, what’s the problem with this debate and why is it so important? MARK WEISBROT: Well this is kind of messy because on the one hand, you don’t want the Fed to be an instrument of the president’s electoral strategy. On the other hand, a lot of people will react in a way, and you see this in the media and among political leaders opposed to Trump. They’ll react in a way that sees the Fed or describes the Fed as this really neutral institution that is really just looking out for everyone and is of course, supposed to be independent and that the only problem that we’re facing with the Fed is that Trump is trying to use it for his purposes. That would be a bad narrative because– we have to just stand away from the electoral politics of it for a minute– we have a real problem with the Fed. And so, some of the things that even Trump for his own reasons is saying, aren’t true about it. For example, they have raised interest rates nine times since 2015 without justification because inflation, which is supposedly the threat they’re fighting when they raise interest rates. You’re not supposed to do it for any other real reason. When they raise interest rates, they’re supposed to be doing this in response to inflation. Inflation has been below their own chosen target all this time and in fact, for the whole last decade, so that’s bad. I mean, they have unnecessarily slowed the economy and Trump has criticized them. So we don’t want to fall into this narrative that people who just believe in the Fed and think that everything they do is right and most of the business press would argue that Trump shouldn’t even challenge them. And this is very important because the Fed has actually caused all the recessions in this country since World War II, except for the last two which were caused, as you know, by the bursting of asset bubbles– the stock market and then the housing bubble. But that’s still most, the vast majority, of recessions we’ve had and if I had to guess what would bring on the next recession here, the Fed is generally a prime candidate for that. GREG WILPERT: Just one more question. Leaving aside now the effect that raising the rates would have, which as you said could lead to another recession, who benefits let’s say from these last rate increases? There were nine since 2015. I mean, is anybody benefiting from that? I mean, what’s the rationale behind it aside from this apparently illusory fear of inflation? MARK WEISBROT: Yes. Well some of it is ideological but some of it obviously reflects a conflict of interest. The financial sector especially wants very low inflation because bondholders lose money when there’s unanticipated inflation. You have the big multinational corporations and they care about the value of the dollar which is also, they want the value of the dollar to be high and the higher interest rates will keep the dollar higher so they care about it too. They want to be able to buy things cheaply overseas. But if you’re an average person in this country, who is not rich and powerful, you care much more about employment. And so, the Fed has tended to not worry about employment as much as it should. MARK WEISBROT: And there really is a conflict of interest around unemployment. I mean, the Fed is made up of people who sympathize much more with employers and employers, they actually like a higher unemployment rate. It gives them more workers to choose from and it helps keep wages down. And so they’re looking at it much more from that point of view. And when the Fed raises interest rates, they are very deliberately slowing the economy and reducing employment and throwing people out of work or preventing them from getting jobs. And this is not a side collateral damage effect of what they’re doing; it’s actually the intention with the idea that this will put downward pressure on wages and therefore, lower interest rates. I think if the general public knew, and all economists know this, but if the general public knew that this was what the Fed was doing, there would be a lot more opposition to the Fed’s unnecessary interest rate hikes. GREG WILPERT: Okay. Well we’re going to leave it there for now. 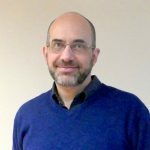 We’re speaking to Mark Weisbrot, Co-director of the Center for Economic and Policy Research. Thanks again, Mark, for having joined us today.